Books don’t just contain information, they can hold a lot of sentimental value if they relate to a personal experience or particular interest. But finding your favorite titles sopping wet after a major flood can be really stressful. While many of us can simply replace it by ordering another copy, others may no longer be available, or the damaged copy in particular holds sentimental or monetary value. However, after reading these tips on how to save a wet book, you can have some peace of mind knowing that these personal items are not permanently ruined. Even if the pages are sticking together, are incredibly week, or are completely soaked, you can restore it yourself by taking these steps. You can also contact a professional content cleaning and pack-out company to have them restored for you. Shake out excess water. If the book is soaking wet, don’t lose hope that it can’t be saved. 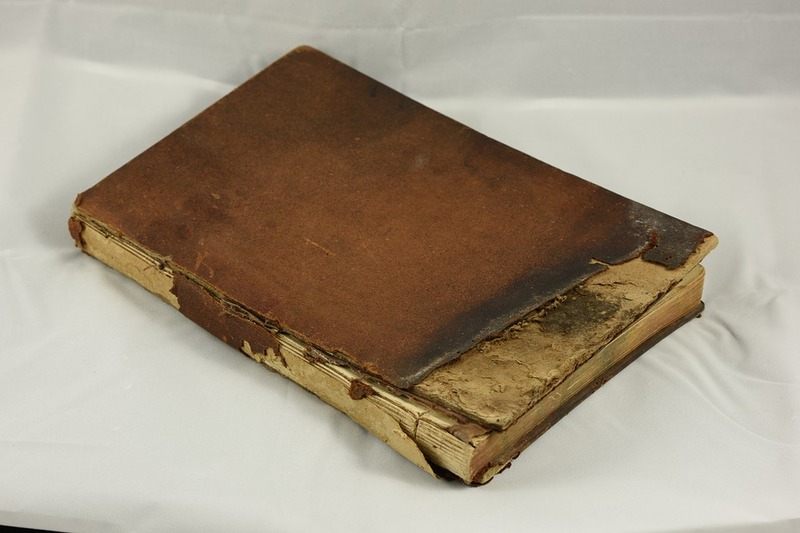 The first step in saving a wet book is to bring it to a dry area right away so that it doesn’t face the risk of sustaining additional damage. If the book is completely wet that it is dripping with water, tightly hold it closed and shake out as much as you can. Wipe down cover. Once you have all excess water removed, use a dry rag or paper towel to gently wipe down the cover. But be sure to avoid the pages because are most likely very weak and will tear when applying too much pressure. Just focus on removing as much water as possible from the outside for now. Lay down a dry washcloth or paper towel sheets. Lay down a few white sheets of paper towel or dry wash cloth on a dry, flat area to serve as a base to absorb the water. Just make sure that the material is not dyed or it will bleed onto the wet book. If you don’t expect it to rain, you can leave it outside in the sun to dry more effectively. Place the book upright to dry. After setting down the paper towel sheets or washcloth, set the book to stand upright to allow the water to flow into the base. While hardcover books will be easy, you can use weights or book ends to prop up paperbacks for support. Place paper towel sheets or rags between the pages. While this can be tricky for a book with several hundred pages, you can place a few sheets of paper towel in between the front and back covers only. Avoid placing them in between the pages as they can rip easily. Leave the book to sit in place. Allow the book to sit in standing position for as long as necessary to dry completely. In the case that the book is not soaking wet, the cover and pages will most likely be a little stronger and be able to endure a more effective drying process. But just remember to be as gentle as possible when taking these steps. Open the book to stand upright. Just as you would for a book that is soaking wet, stand it up vertically if it is a hardcover. If it is a paperback, you can use weights or bookends to hold it upright. Just make sure that it is well-balanced and will not fall down. Fan out the pages. Be careful not to open the book beyond 60 degrees as it can pull out the pages, but you can allow tiny gaps in between each page and gently fan them out. Just make sure that they don’t stick together during the process. Allow for proper air flow. As long as the pages are evenly spaced out and the book’s open angle doesn’t exceed 60 degrees, allow for dry air to flow through the room. You can turn on the overhead fan, air conditioning, or dehumidifier to accelerate the drying process. 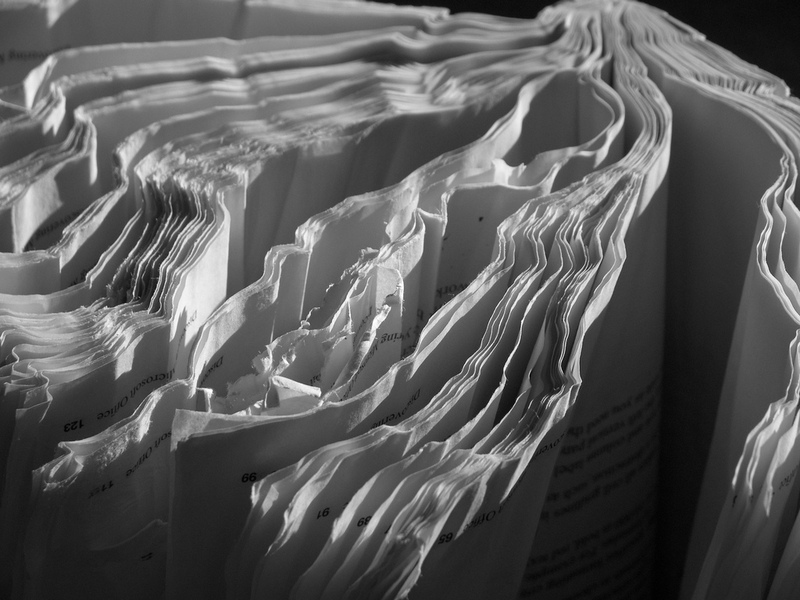 Just make sure that the pages are not flapping in the breeze; this is how they become ruffled when they dry. But you will need to have patience for the book to become completely dry as it may take up to a week or two to completely remove the moisture. Place under weight to flatten after dry. After sitting open for a week or two, the book will probably feel stiff and will not lie completely flat. Allow it to sit under something heavy for another week to fully return it to its original condition. Just make sure that none of the pages are bent or are hanging over the others. Use a piece of string to hang paperbacks. While hard covers can be dried more easily than paperbacks, those that are small and thin will need extra care. But you can take a shortcut and hang it on a fishing line or string to allow it to air dry effectively. If you are drying it inside, place it near a dehumidifier to evaporate the moisture as soon as it is out of the book. But you will also have to be patient as the drying time can last up to a week or longer. If the book is soaking wet, don’t hang it on the line as the book’s weight on the pages can cause them to tear. Who knew that there can be so many steps involved in drying out a wet book? But in order to return it to its original condition, both patience and extra care are needed when taking these steps. While some of us have the time and patience to fully dry out our books, others have other important matters to attend to. Especially if your property has sustained severe flood damage, there are many contents to be cleaned and restored in addition to books. If you have found yourself in this situation, don’t hesitate to contact an emergency content cleaning and pack-out company. 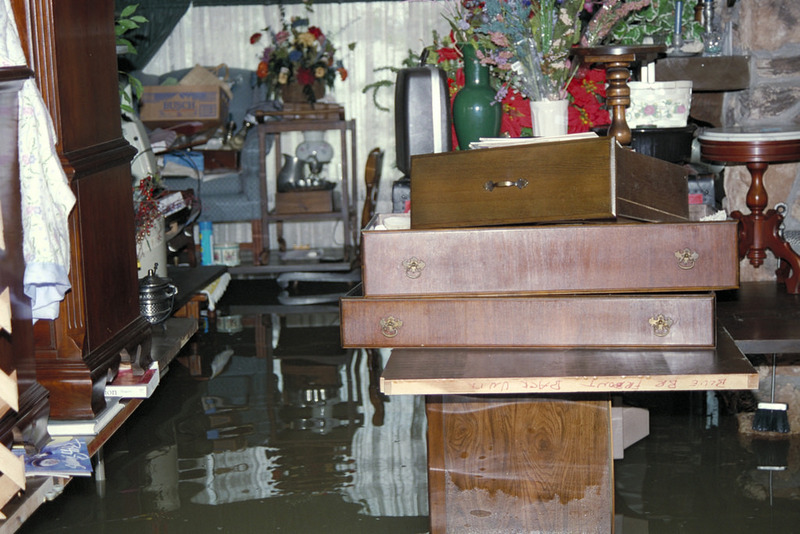 You may want to consider ServiceMaster as they specialize in disaster restoration services. They are also available to restore your building materials with professional flood cleanup services, using professional equipment to return them to their original conditions. Finally, you can be sure that all water-damaged materials are restored in addition to your books so you don’t have to worry about the costs and stress of replacing them. Next story How are Floods Measured?